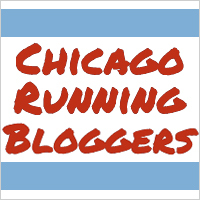 Chicago Running Bloggers: Win a FREE entry to the Chicago Half Marathon! : The 17th annual Chicago Half Marathon is coming this Sunday, September 8. And YOU have the chance to run it for free! ... so says the Chicago Running Bloggers page. So one of the ways I (and you) can qualify to win the entry is to post on your blog. So there you go. That's what I'm doing. Even if I don't win this entry, I'll probably still run the race as this is the half marathon Mr. H. and I identified as our fall race, but if I win a free entry, even better. I'm missing my son's first field trip. He was pretty excited leaving the house in his tie-dyed shirt that all the kids made at school and wear on their field trips. I feel bad about missing it, but I know there will be many many chances in the future for further field trips. I think if I make one a year then I'll be good and not feel like a complete failure as a mother. Of course, I didn't get a picture of him modeling his t-shirt, which he thought was really cool and he had an ever so slight temp when he went to school this morning but other wise was in totally fine spirits so I probably am actually the worst mother in the world anyway. Or at least in the running. And back to actual running, how's that for a segue, last night Mr. H. participated in his first CARA run as an employees. It was the June Member Appreciation Fun run. Baby H. and I tagged along and had dinner and then played at the near by park while Mr. H. and the members ran. It was fun and I'm looking forward to joining them next month if we can figure out a way to (a) have someone watch Baby H. during the run or (b) get our jogger to wherever the run is. I probably should officially become a CARA member - you know, support my husband and all. I watched this marathon on skype! My nephew took part in it and since i couldn't be there, my sister showed me through skype. Its sad that you had to miss your sons first field trip!